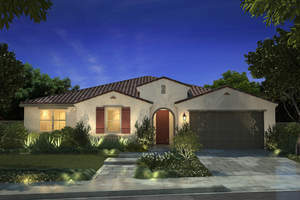 MURRIETA, CA--(Marketwired - May 16, 2016) - Three brand-new single-family detached collections will debut at Spencer's Crossing in Murrieta on Saturday, June 11th, offering eager homebuyers their first chance to experience Brookfield Residential's Nectar and Juniper neighborhoods, and Sycamore by Richmond American Homes. These highly anticipated Grand Opening celebrations will include model tours beginning at 10 am, highlighting Juniper's impressively large single-level designs, Nectar's stylishly appointed one- and two story homes and Sycamore's beautiful one- and two-story residences. Homebuyers excited to explore these incredible new-home addresses located within the thriving master-planned community of Spencer's Crossing are urged to mark their calendars now. For more information and details about the upcoming Grand Openings, register interest at www.SpencersCrossing.com. "There is so much to come home to at Spencer's Crossing and nothing will illustrate that point better than the exciting debut of three new neighborhoods on June 11," said Mercedes Meserve, Vice President of Marketing for Brookfield Residential Southern California. "Don't miss your first opportunity to find the perfect address for your family at this popular Murrieta master-planned community." Juniper by Brookfield Residential features elegant single-level home designs spanning from approximately 3,212 to 3,462 square feet with three to four bedrooms, two and one-half to three baths, grand entry foyers, optional outdoor rooms and three-car tandem garages. Prices are anticipated from the $400,000s. Richmond American Homes' Sycamore collection showcases beautifully appointed one- and two-story residences with three to seven bedrooms, two and one-half to five baths and two to three-car garages in approximately 2,800 to 3,460 square feet of living space. Prices are anticipated from the low $400,000s. Brookfield Residential's Nectar presents gorgeous one- and two-story home designs spanning approximately 2,221 to 2,885 square feet with three to five bedrooms, including a first-floor master suite; two to three baths; upstairs bonus rooms in select plans; optional outdoor rooms; and two-car garages. Prices are anticipated from the $300,000s. Opening in July 2016 is Laurel by Woodside Homes, a collection of one- and two-story homes ranging from approximately 2,410 to 3,199 square feet with three to four bedrooms, two to three and one-half baths and two- and three-car tandem garages. Prices are anticipated from the high $300,000s. Spencer's Crossing extends across 600 naturally beautiful acres, creating a new kind of community designed for genuine family living with a dynamic environment brimming with recreation. Residents will find miles of meandering trails to enjoy, as well as resort-style amenities that include a 3,500 square-foot recreation center with a swimming pool, children's wading pool, spa, BBQ area, shade structures and playgrounds. The 11.5-acre Sports Park is another coveted community feature with lighted soccer and baseball fields, a basketball court, tot lots and a concession stand, while the future Heroes Park will provide trails, a great lawn, barbecues, picnic areas and small and large doggy play areas. Located in a prime Murrieta setting, Spencer's Crossing is near to a host of local conveniences, including popular shopping centers, great restaurants and challenging golf courses. Homeowners will also appreciate the short distance to Temecula, where they can enjoy beautiful wineries and other premier attractions at their leisure. School-aged residents will be included in the high-performing Murrieta Valley Unified School District's Lisa J. Mails Elementary School, Dorothy McElhinney Middle School and Vista Murrieta High School. To visit Spencer's Crossing from Temecula, take the I-15 North, exit Murrieta Hot Springs Road and head east past the 215 Freeway. Turn left on Winchester Road (Highway 79), left again on Max Gillis and right on Leon Road into the community. From Riverside take I-15 South, exit Bundy Canyon and head east past the 215 Freeway. Turn right on Leon Road into the community. For more information, visit www.SpencersCrossing.com. Brookfield Residential Properties is a leading land developer and homebuilder in North America. We entitle and develop land to create master-planned communities, build and sell lots to third-party builders, and operate our own home building division. We also participate in selected, strategic real estate opportunities, including infill projects, mixed-use developments, and joint ventures. We are the flagship North American residential property company of Brookfield Asset Management, a leading global alternative asset manager with over $200 billion of assets under management. Further information is available at www.BrookfieldResidential.com or www.Brookfield.com. Discover stunning new homes at Spencer's Crossing in Murrieta.